My semi-failed experiment. I originally intended to attempt to make ichigo daifuku or strawberry rice cake (strawberry surrounded by an (sweet red bean paste) covered with sweetened mochi (rice cake)) but when I went to the supermarket blackberries were on sale--strawberry, blackberry, same same. Riiiiiiiiiight. Anyhoo, it was a very messy process thanks to the an and the sticky mochi. I didn't post pictures of the an covered blackberry balls because they were just too ugly (rhymes with loo). 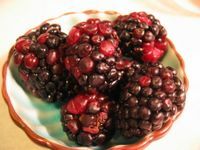 By the time I finished wrapping all the blackberries in the sticky mochi I ended up with only about three presentable ones. Awesome. We tasted tested them--survey says: sour. And I'm not a fan of the hard little blackberry seeds. Oh well. Maybe I should have tried the blueberries that were also on sale. Look at the super fantastic stamps that are on sale at the Post Office! I'm not very familiar with Maisy and Olivia but the others--favorites! And I thought the Muppet* stamps were the bee's knees. *Side note--old news but looks like there's a Dark Crystal sequel in the works. I think the original is a frickin' scary movie for little kids but maybe that's just me (it still creeps me out). Too bad they didn't taste that good, because your three look very nice. I agree with Amanda, too bad they didn't taste good because they sure look tasty. What did you use for the mochi part. 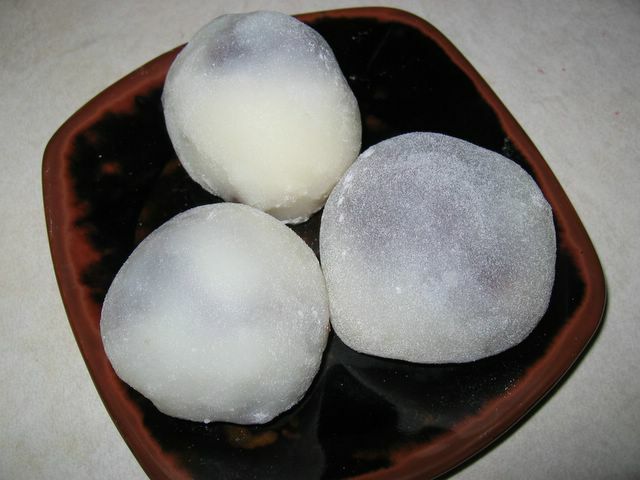 I used to have a tried and true microwave mochi recipe but lately it just hasn't been coming out. I think maybe my microwave is too hot. I've been seeing those stamps around as well. I gotta remember to go pick some up. I love Olivia! i've tasted the ichigo daifuku and it is soooo ono! i want to try to make some myself....sorry the blackberry daifuku was sour - but gotta experiment right?! 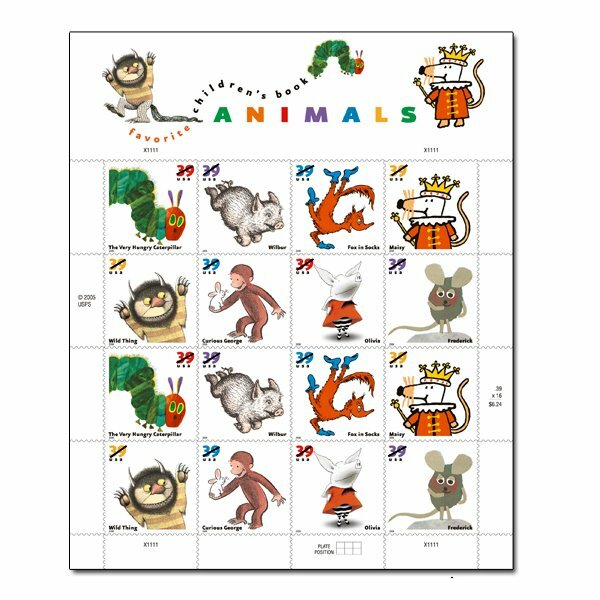 i got so excited at the stamps (which i know you posted a while ago...but i'se slow) that i just ordered some! 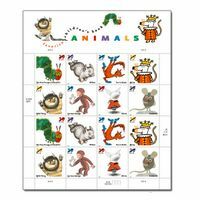 even though i already have a roll of stamps that i need to use before they raise the postage price...again. boo. but i do love all those stories! thanks for the tip! yay!